Later this year, iOS 9 has been launched by Apple which has new app by the name of Move to iOS with the help of this app we can switch out Android phone’s data i.e. videos, Photos, Text Messages, calendars, email accounts etc in iPhone. Earlier transferring data from Android to iPhone was a task full of problems, but with new Move to iOS of iOS 9 we can do it very comfortably. 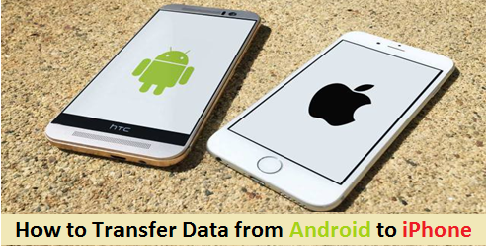 In fact Apple has introduced this app for Android, In order to transfer the whole data the connectivity of both products i.e. Android and iPhone through direct wireless. Passwords and your apps doesn’t switch with the help of Move to iOS app Always make sure the process of data switching by Android with the help of Move to iOS is possible, If the particular devices are working with iOS 9 or above. Now,step-by-step way to switch photos and contacts, and another important info to iPhone from Android with new Move to iOS app. Step 1: In the beginning, you need to go to Apps and Data option of iPhone, there you will choose option Move Data from Android. Step 2: Find Move to iOS application from Google play store of Android phone. Step 3: You need to install this app by clicking on Move to iOS app listing. Step 4: Installation process will start once you select Accept option. When installation procedure will finish click and open this app on Android phone. Step 5: Now, On both Android and iPhone tap to continue. Step 6: On Android you will get 12-digit code which you required to put one iPhone. Step 7: As soon as you will put that 12 digit code in iPhone immediately by Direct connection of WI-FI Android phone will connect.Choose data which you want to switch. Step 8: In order to log in on iPhone you need to switch your Google account information also you can choose Bookmarks of Chrome, Video, Messages, Photos, Contacts,Now tap Next. Step 9: All data which is selected will be moved to iPhone.Automatically the moved data will be placed according to the applications. Step 10: Tap on “Continue Setting Up iPhone” on your iPhone, as soon as completion process ends you can log in on iPhone with your existing ID or you can create a new ID for Apple. You will asked to log in to transferred accounts from Android phone. Everything done now. Now, Finally data Moving from Android phone to iPhone is successful. Data switch rate totally depends up on that data which you want to transfer. As compared to other ways of transferring data it is faster way. Data switching from Android to iPhone is totally safe and secure. If you have any questions then feel free to ask me via comment . As soon as possible i will answer your queries.